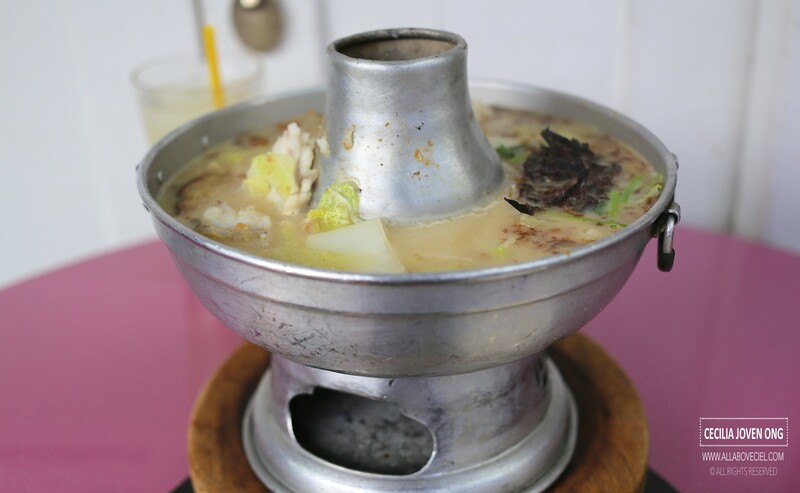 This is a really popular Fish Head Steamboat located along the Balestier Road. They started as a hawker stall in early 90s and eventually to open up 2 restaurants, this one and the other at Rangoon Road. 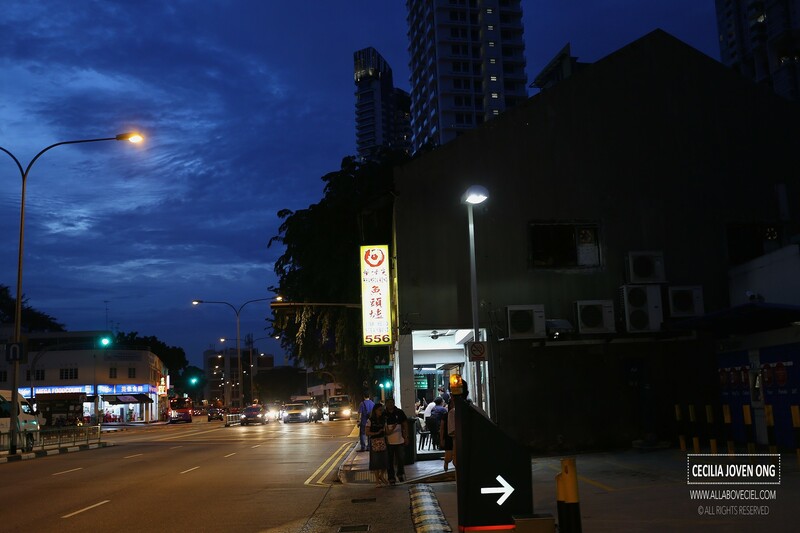 I have heard that the main branch at Balestier Road is actually managed by the first wife of Mr Keng and his second wife is taking charge of the other outlet at Rangoon Road. We were there slightly after 6 pm on a Saturday, though no queue yet but the tables for 2 in the restaurant have already taken up. We were offered a table along the pathway or continue to wait for the table in the restaurant to be freed up. We decided to take up one of the few tables along the pathway then. We were quickly presented with the menu then the condiments and peanuts. 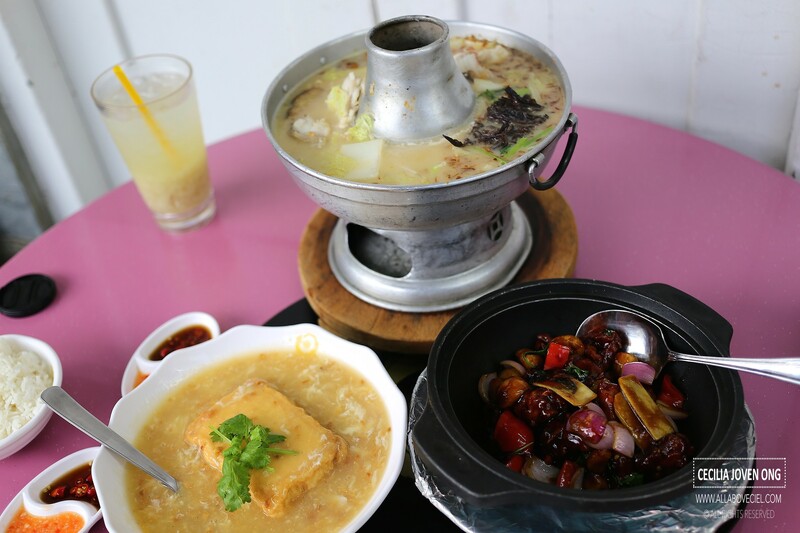 We went with the set for 2 which consists of a Fish Head Steamboat, Famous Food Street Tofu, 3-cups chicken in a claypot and dessert for $68+. We were asked to choose between the Red Snapper and Batang Fish and we opted for the Red Snapper. 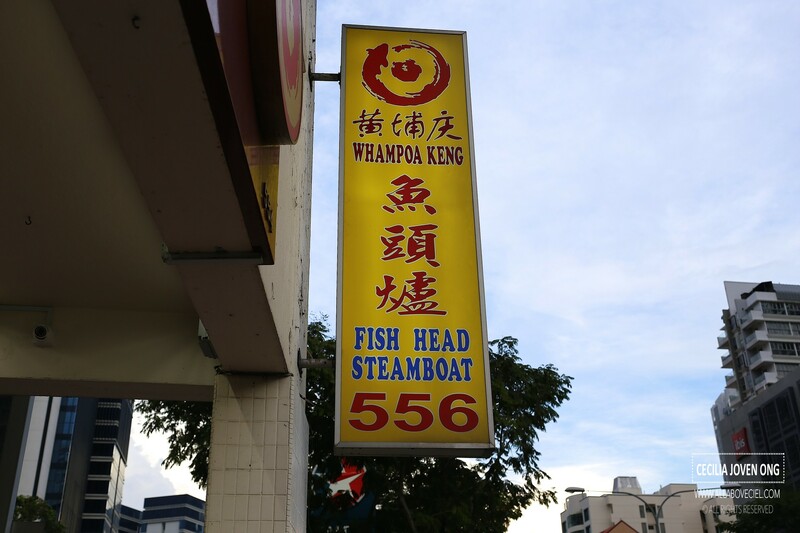 A really long time ago, there used to have 3 different stalls serving Fish Head Steamboat at the Whampoa Food Centre before it was renovated. They used to be just selling Kway Chap before joining the other 2 stalls in serving Fish Head Steamboat and became one of the 2 popular stalls right there. They moved out to the current location when the food centre was undergoing renovation and renamed it as Whampoa Keng, after the name of the boss. The water chestnut drink for $2.50 did not taste just like the usual water chestnut drink that is available at most coffee shops or food centres. 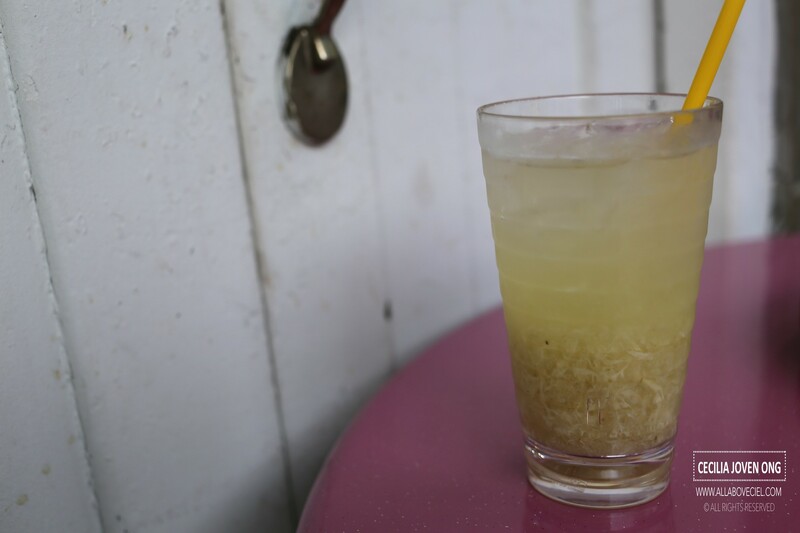 It has a well-balanced sweetness with bits of water chestnut and beaten egg in it, very refreshing. There are supposedly a total of 30 ingredients that go into the soup including a prepackaged bag of mixed herbs. The main flavor is determined by the dried solefish and balanced with the different herbs added to give a harmonious flavors. 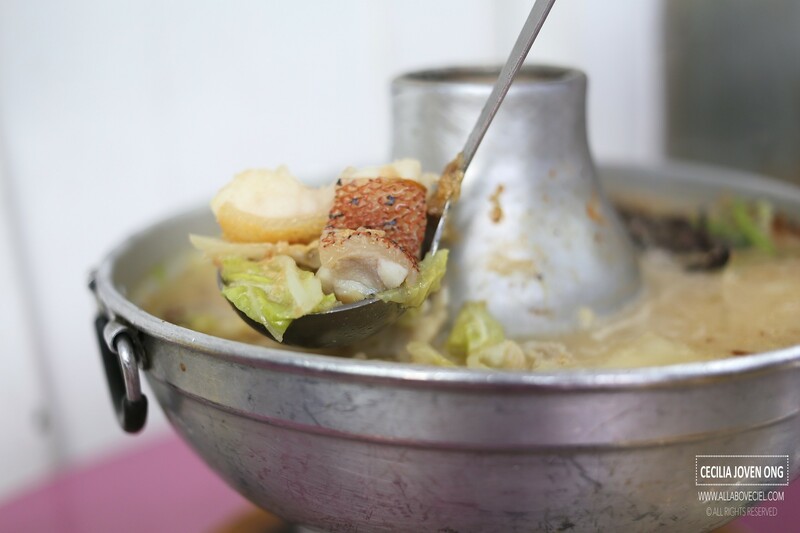 The other ingredients in the steamboat were generous amount of fried yam and peh chye (cabbage). 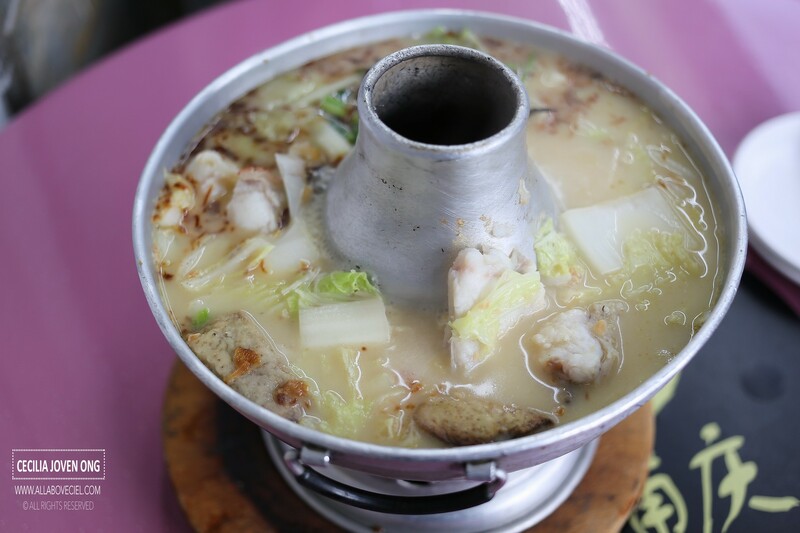 The fish head tasted noticeably fresh and the steamboat is still heated using the charcoal. 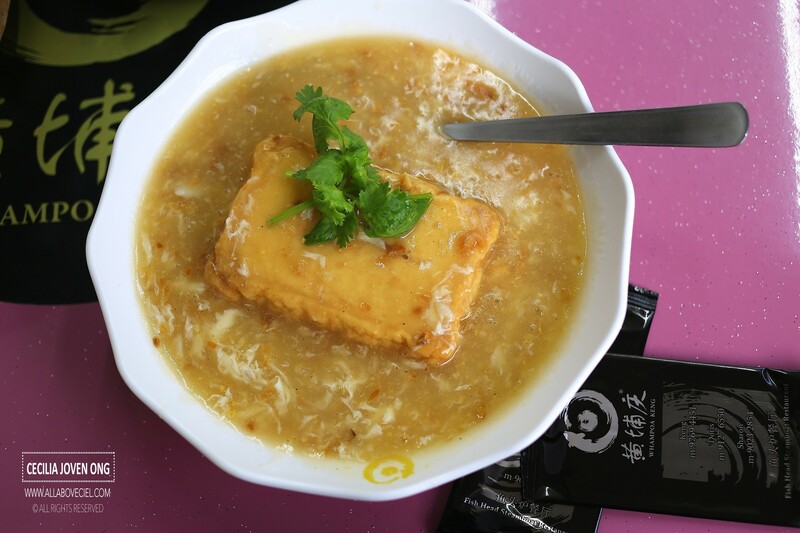 This Famous Food Street Tofu made by mashing up the silken tofu then added in egg and steamed it. I do not think too highly of the texture of the tofu but i liked the sauce a lot. I could taste the dried shrimps and garlic taste in it, it was quite a unique combination that i have never taste it before. 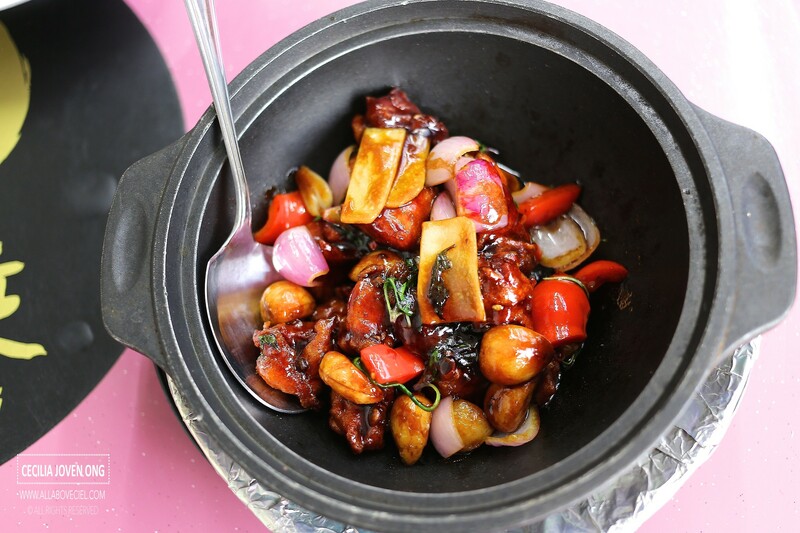 3-cups chicken in a claypot is actually a Taiwanese dish that cooked the chicken in soy sauce, rice wine and sesame oil then added with heaps of whole garlic cloves, slices of ginger and fresh Thai basil. Most such dishes have an overwhelming Thai basil taste which i did not quite enjoy but this one, they managed to get it just right, pretty well-balanced. There was still quite a queue after we were done with the dinner. I never did know this is a really popular place for Fish Head Steamboat. I will definitely come back for their Zi Char dishes though their Fish Head Steamboat is good too.